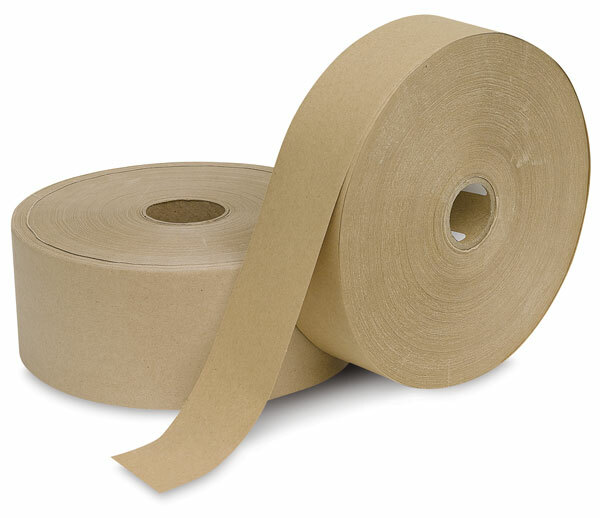 Traditional brown packaging tape. 60 lb weight. Requires moistening. Provides strong, long-lasting seal on boxes, cartons, and more. Use to stretch wet watercolor paper onto drawing boards. 600 ft (183 m) long roll with a 1½" (38 mm) core.